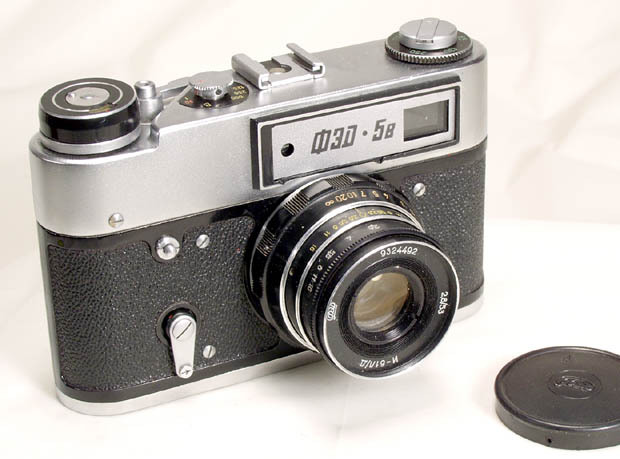 The Kiev-4m was the last production Contax III type camera made by Arsenal plant in Kiev (Ukraine). 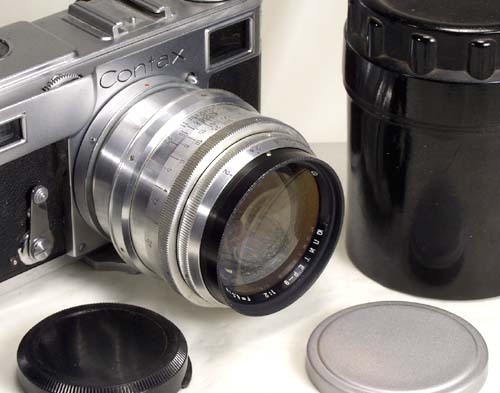 Together with the Kiev-4am, it was in production till 1987, when Zavod Arsenal finally ended the glorious line of Contax copies. 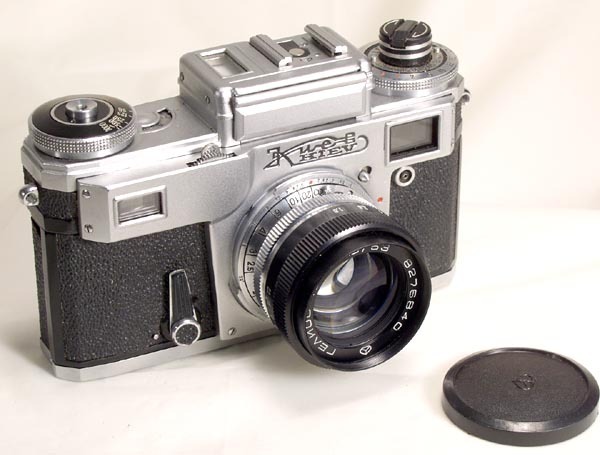 This Kiev-4m was made in 1984. 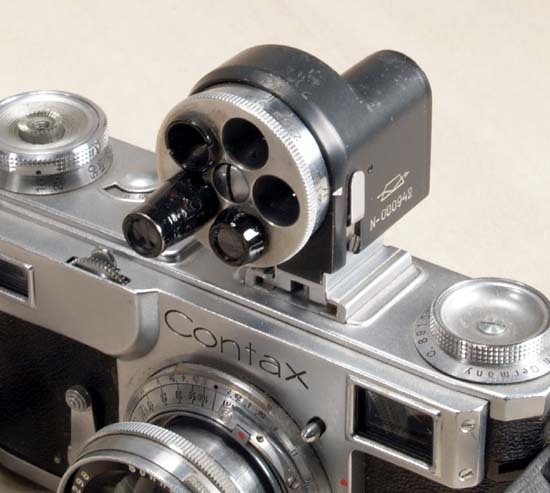 The camera is in exc. condition, it shows little use. 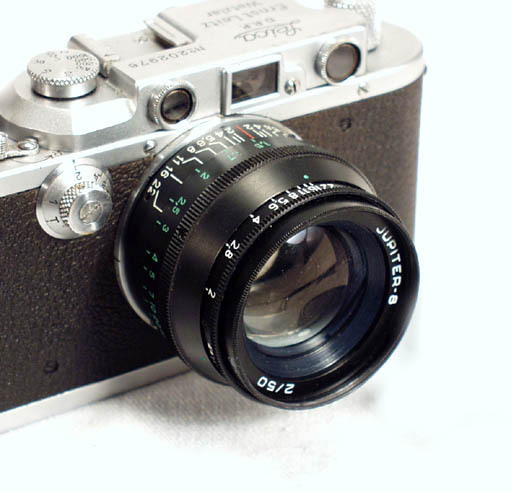 The RF is clear and sharp, the lens is clean and clear. 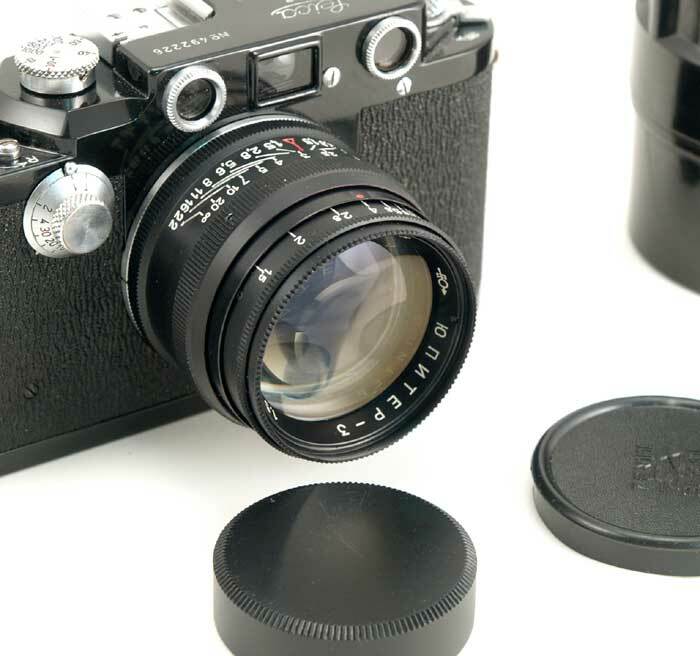 The shutter is working on all speeds, the meter and self-timer are operational. 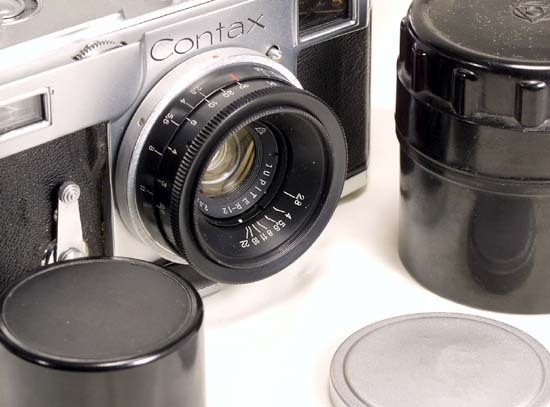 As well as any Soviet Contax copy, the Kiev-4m is a rugged and precision camera, equipped with a great lens. 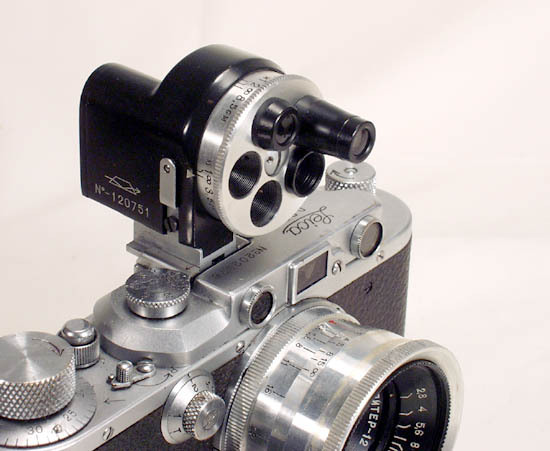 It is capable of taking advantage of the modern films, and is simply a great fun to use. I would like to complement Yuri on an easy to use site with ..